Holding an event, fundraiser or festival that needs brightening up? Having an artist to live paint at your event is a great way to add some colour and conversation starter to your function! 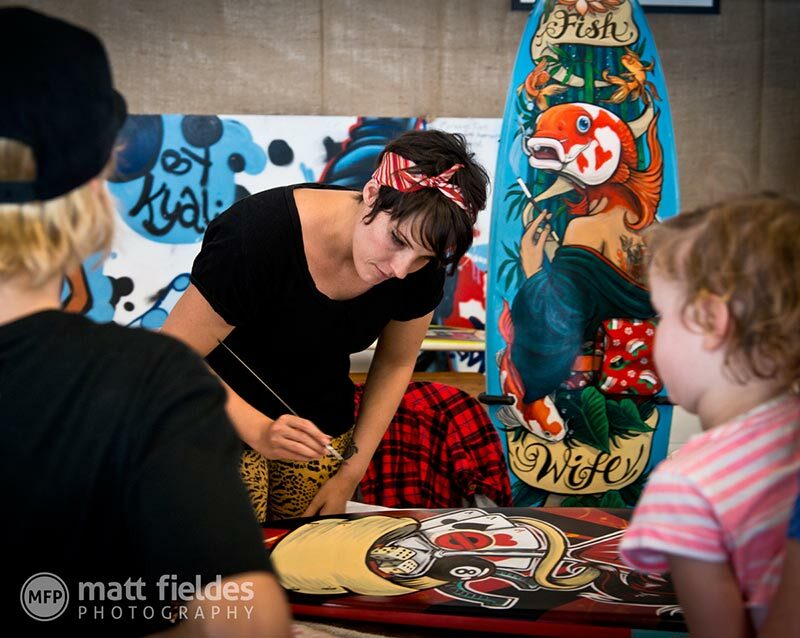 Fieldey has live-painted at events such as the Drug Aware Margaret River Pro, a World Surfing League event. She has also won many popular competitive live painting events such as Secret Walls and Wall to Wall. ​Fieldey can live paint at your event - all she needs enough room for a surfboard or skateboard or a blank wall or canvas to paint on. Fieldey can ensure that there are no spray paint fumes and the paints used during the event are non-toxic and odourless. ​We can also organise merchandise and giveaways for your attendees and you can purchase the final piece of art.